PON-EMO KIDS LOTION , vectem s.a. 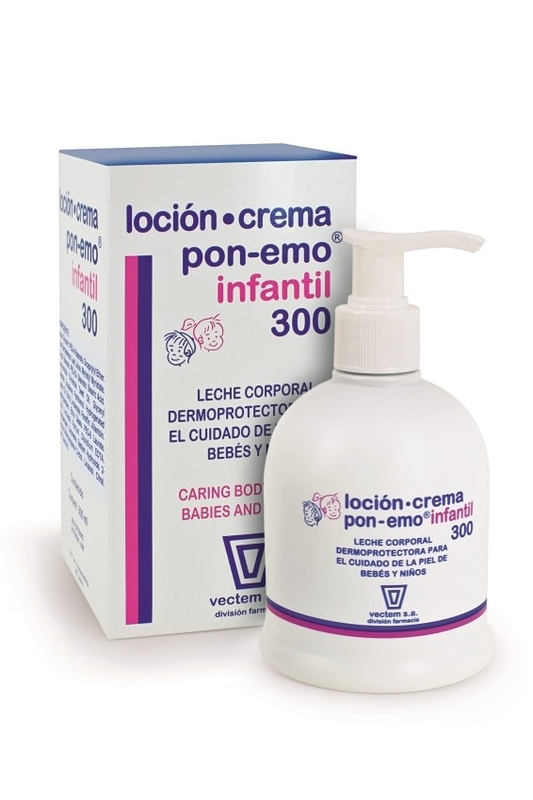 Skin moisturising, softening and protective body lotion for babies and kids of all ages. Conditions and protects, helping offset the lack of defences of babies while promoting and boosting recovery from redness, irritation, chafing, cracks, etc. Thanks to the emulsifying agents and suitable oils it contains, it is also used as a gentle and effective cleansing lotion for irritation-prone skin in the nappy area. Leaves a protective layer on the skin which acts as a barrier against further irritation. Free from mineral oils that cause skin occlusion. Contains the equivalent of 15% Aloe Vera plant, as well as other nourishing, moisturising and protective ingredients such as Squalane, Jojoba Oil, Allantoin, Vitamin F and D-Panthenol.